As family members come together from near and far during the holidays to celebrate with their parents or aging loved ones, many notice that things have changed dramatically since their last visit. Perhaps their parent has difficulty standing or are unstable when they walk. Some may notice the house is unkempt, dirty clothes are piling up, and food is moldy in the refrigerator, when the house was typically neat and tidy. You may have started to discuss these changes with your siblings and among other family members. You may be concerned that they need help or wondering if your senior parent should be living along. 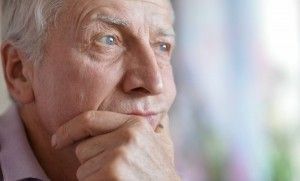 After a holiday visit with your senior parent living along, it is a good time to assess the key factors whether they can care for himself or herself? Have they recently lost a lot of weight? Are they eating properly? Are there fresh produce and food in the cupboards and refrigerator? Is food spoiled or moldy in their house? Are they dressed every day in clean clothing? Are they wearing the same clothing over and over? Have they showered? Brushed their hair? Shaved? Are they regularly seeing a doctor? Are they going to the eye doctor for a checkup? Have they gone to the dentist? Do they forget to take medication? Are they hard of hearing? Mental State. Are they forgetting key things they should easily know? Are the often confused? Are they having mood swings? Do they can angry or forgetful? Are they depressed? Are they missing appointments? Have they lost interest in hobbies and activities? Are they lonely? If your senior parent’s health or personal happiness seems to be compromised, it is time to have a discussion about their living situation and options of care. Depending on their needs, the options could be moving in with you or a family member, finding a senior housing or assisted living community, or arranging in-home care. These decisions are never easy, but delaying a decision can affect your parent and loved one’s quality of life. Make it your priority to get your parent the help that they need. If you are interested in touring an Aegis Living community contact us.